Can’t afford to pay your student loans? It’s an awful feeling to get a bill in the mail that you can’t pay. Unfortunately, with about $1 trillion in student loan debt outstanding, a lot of people in America get that queasy feeling in their stomachs month after month because they can’t afford to make college debt payments. Fortunately, you do have options when you’re struggling with hefty student loans. If you have federal loans, once you graduate (or leave school for any reason) and your repayment period begins, you’ll typically be automatically placed into the standard loan repayment option. This is the repayment term that lasts just 10 years. It’s the best way to knock out your student loans quickly, and it’s also the loan repayment program under which you’ll pay the least amount of interest. The problem for cash-strapped borrowers, though, is that the 10-year standard loan repayment option is also the program that calls for you to pay the highest monthly payments. So if you’ve recently graduated, or even if you left college years ago, check to see which loan repayment program you’re currently using. the income-based repayment plan, which permits you to make payments as low as $5 a month and which lasts for 20 or 25 years. If you need to keep your head above water, and avoid a student loan default, go for the income sensitive or income-based repayment option. It’s always “affordable” to the extent that your loans will always be capped at a maximum of 15% of your discretionary income – no matter how much or how little you earn. 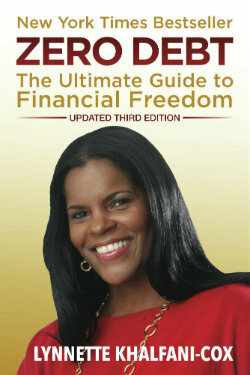 As of September 2012, the program got even better, capping your student loan repayments at 10% of your discretionary. Plus, thanks to student loan reform legislation signed by President Barack Obama, many recent grads that choose income-based repayments must pay their loans for only 20 years (not 25 years, like previous graduates). After that 20-year term, whatever loans that still remain outstanding are forgiven by the federal government. Even better, if you work for a public service organization for 10 years and make income-based repayments during that term (for 120 months), after those 10 years, you may also qualify to have certain federal student loans forgiven through the Public Service Loans Forgiveness Program. Even though about 1.6 million people are eligible for income-based repayment, only a few hundred thousand are using it. That’s a shame given how much this program can help financially challenged borrowers. In years past, you had to contact your loan servicer to apply for income-based repayment. That’s no longer required. You can now apply directly through the Department of Education’s website, and use the U.S. Department of Education’s IBR calculator to estimate whether you are likely to qualify for the plan. The calculator figures your income-based repayment based on a variety of factors, such as your income, family size, and state of residence. Most people who are still pursuing a degree know that while they’re in school, they can get their student loans deferred, which simply means putting the payments off until some point in the future. 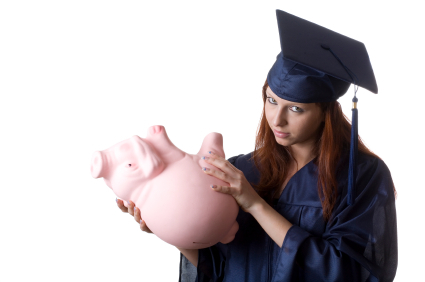 But even if you’re not in school, many lenders will grant you a deferment. Sallie Mae is the country’s largest student loan company. They provide student loan deferments for nearly 20 different scenarios – including deferments for people out of work, for volunteers at non-profit organizations, for those in the military. They even have a deferment option for women who’ve recently given birth (or adopted) and are now re-entering the workforce. Likewise, if you can’t pay your student loans, you can also inquire about a loan forbearance, which means the lender changes the terms of your loan in some way. They might reduce the payments, lower your interest rate, or let you forgo payments for now and tack those due (or overdue) payments on the back end of your loan term. Either way, you’ll never know what student loan deferment and forbearance options exist until you pick up the phone and call your lender or loan servicer. For those with federal loans, if you’ve had a really bad economic spell, that string of bad luck may help you get off the hook – either in the short run, or perhaps permanently – when it comes to your unaffordable student loans. Let’s say you went through a divorce, got laid off, and then you had a major car accident. Subsequently, all of these misfortunes left your finances in ruins. You might now qualify to have your loan payments reduced. Additionally, if you’ve suffered a long-term hardship, like being severely sick for a very long period or being chronically hospitalized, it’s possible that you may qualify to have your loans cancelled. This doesn’t happen very often. But for those with very limited incomes, large debts (even credit card bills), no assets, and no good job prospects in sight, the U.S. Department of Education may say it’s not worth it to make you pay off your loans – and they can cancel your student loans. To claim an economic hardship and ask for greatly reduced student loan repayments, fill out a simple 2-page form called a Statement of Financial Status. Find it online at the Department of Education by clicking here.